I shall keep this one shorter than last week's Thai/Japanese kit review. 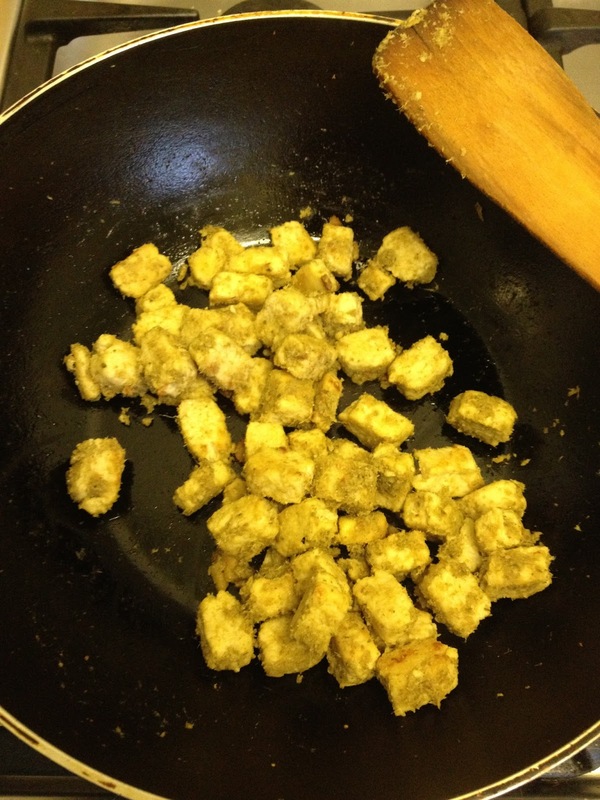 This is the turn of the green box, which requires no egg, but is still 100% vegetarian until you add the chicken. We added Quorn cubes. 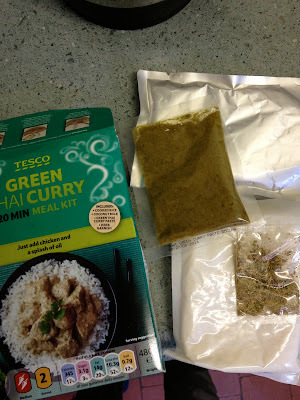 You get similar to the last one, only with coconut milk in the silver bag, and some herbs in the little bag. This is good, as with hindsight you can fine tune the strength of the curry. First up - wack it in the pan and hit it a bit. Then put the curry sauce on and do the same again! This coats things nicely and gets the tastebuds awake. Then add all the coconut milk and finally herbs, not forgetting to use your third hand to put the rice in while doing this! 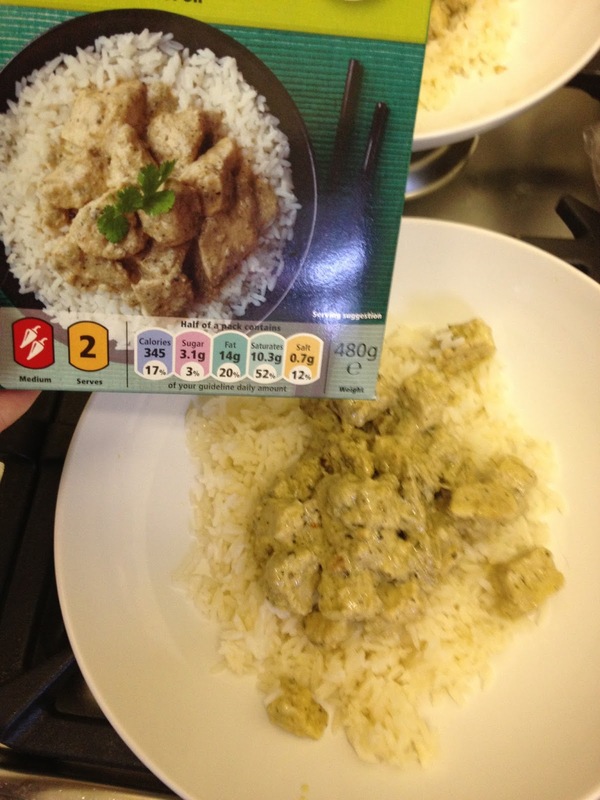 And after a rough 20 mins you get something that looks like the box picture. Success! 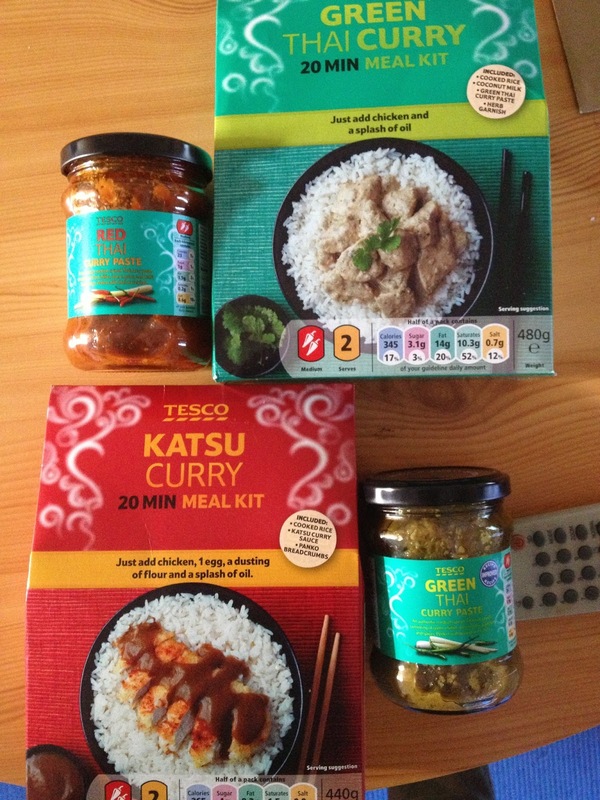 This was another very successful meal, although the flavour was accurate I could have easily had it hotter. I know that jungle curry is basically the Thai slang for not using the coconut milk and making it more powerful. What I would do in future is either use less coconut milk, or add more curry paste out of the jar in Pic 1. That said, I have rice, curry paste and coconut milk (although not usually all at the same time) and could figure out some spices to add. I think I could do this one alone without the kit. That said these things are actually reasonably similar in price to buying the separates and the Best Before date is over a year in the future so there really is no harm in just picking them up for a posh lunch or a quick dinner. Another win for instant Thai food! 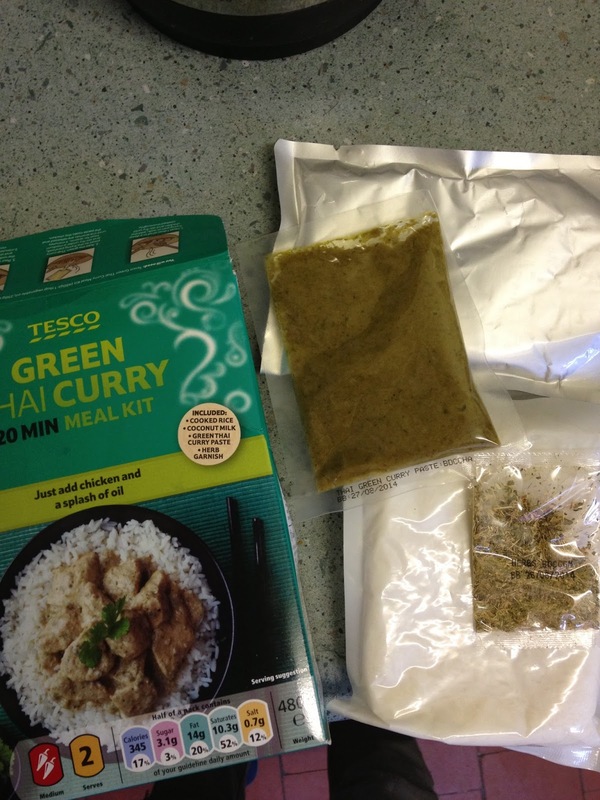 This is THE worst Thai green curry i have ever tasted, bad idea using kit, will stick to home-made in future. Absolutely NO flavour! Do not recommend!